Look – can you see? 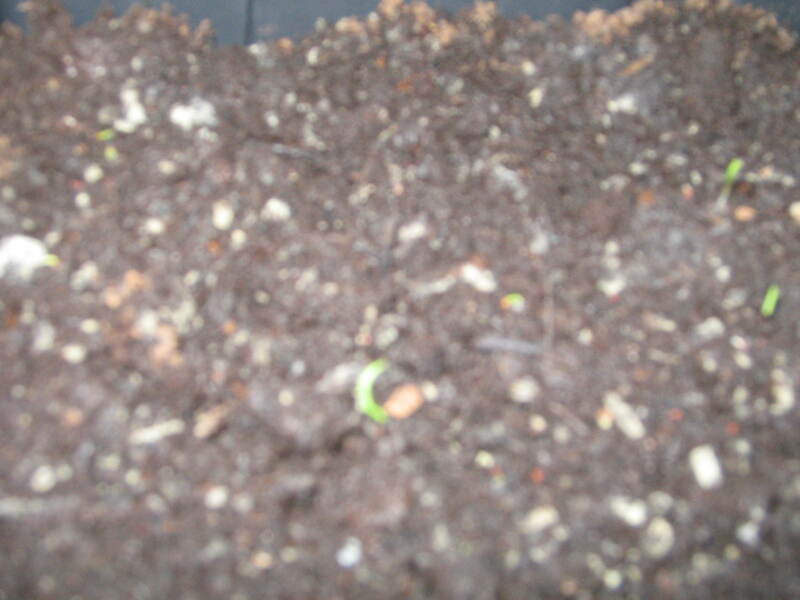 Tiny little s hoots of my lovely Black Peony poppy seeds bought last year at Chelsea – very lovely flowers and although I could put them straight into the ground because they’re hardy they’re so special I’m giving them careful treatment. Got digging this weekend and I found my own little artefact. I’m beside the site of an old pottery and I was hoping to dig up a priceless antique, unlikely I suspect. 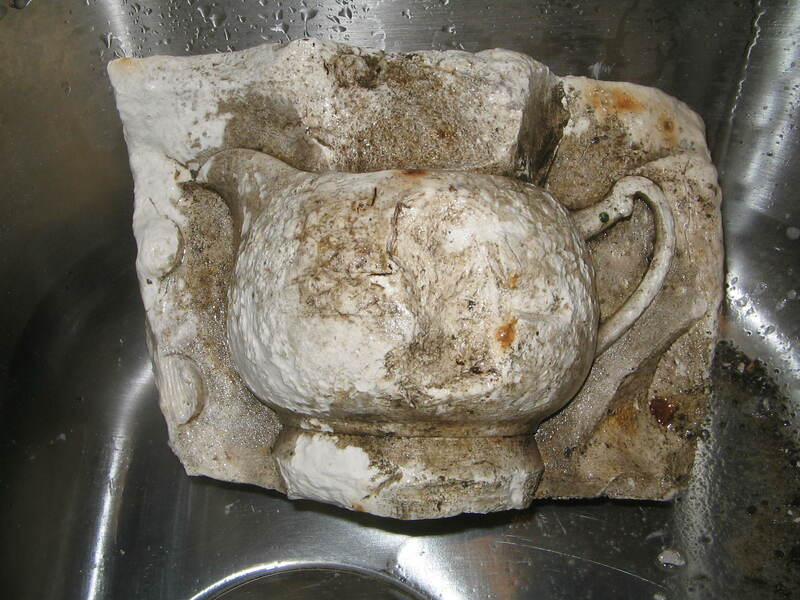 Instead I found this mould for a jug – a bit battered I grant but I’m going to hang onto it as a garden ornament. Rain again today though so I’m going to put some more seeds in and get them going indoors.